The National Museum is twice as old as our republic. 200 years of collecting items related to both nature and people. 200 years of the desire for knowledge. For 200 years, the National Museum has been preserving the heritage of both the past and the present for future generations. 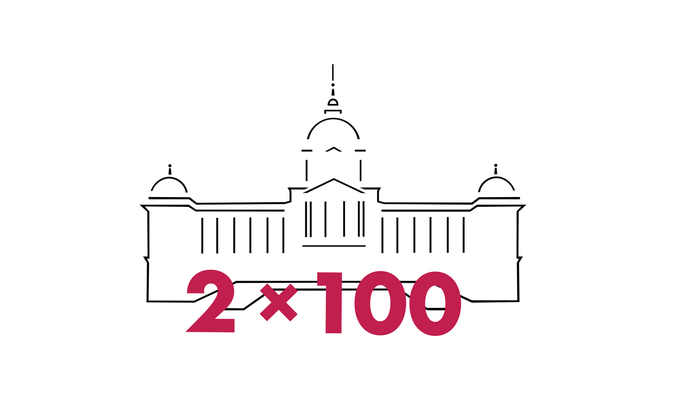 The 200 exhibits forming the ‘2 x 100’ exhibition belong among the most important and interesting of the 20 million plus collection items kept and preserved by the National Museum. The ‘2 x 100’ exhibition will introduce a very narrow selection of those treasures. They were selected for the purpose of showing not only the most precious items from the National Museum collections, but also those items entirely unknown to the public, never before exhibited, or recently restored. Visitors will be able to see objects that seem disparate at first sight, in a surprising and new context reflecting the diversity of the exhibits pertaining to history, natural history and art, with both local and worldwide origins.